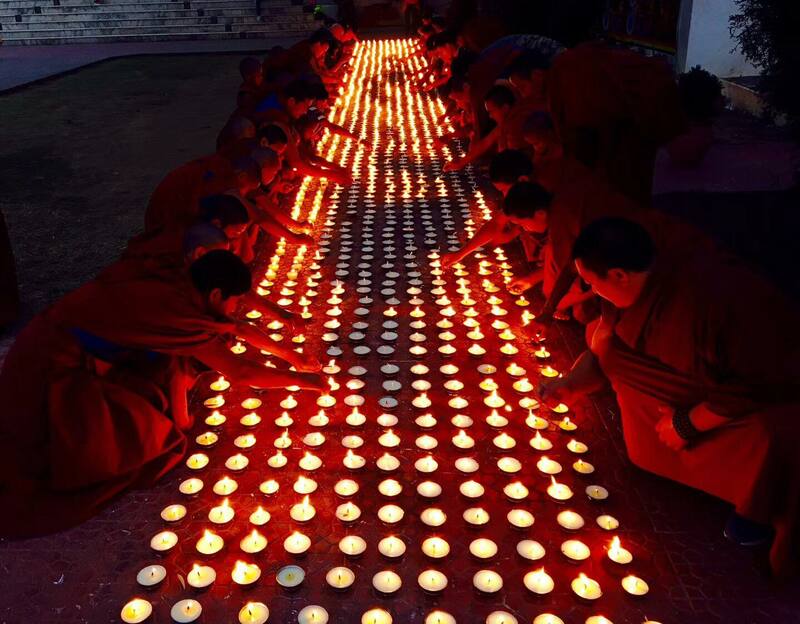 Yungdrung Bon monks offering candlelight. Photo credit: Unknown. are a variety of butter lamp goddesses. Translation from the Tibetan by Raven Cypress Wood ©2017. A full translation of the prayer will be included in her forthcoming book detailing support for death and dying according to the Yungdrung Bön religious tradition. Posted on December 8, 2018, in Prayer and Ritual, Uncategorized. Bookmark the permalink. Leave a comment.